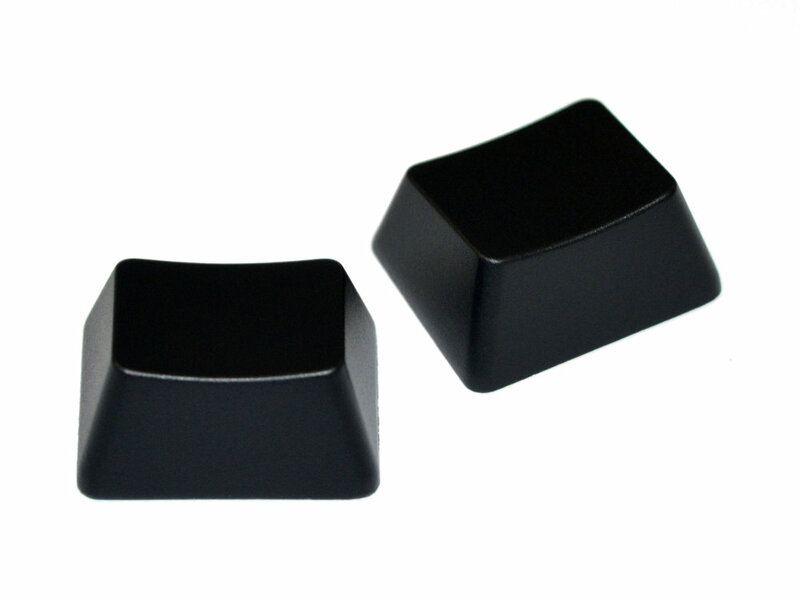 A pair of Filco blank, black Windows keys, without the chamfered lowered circle. Ideal for Linux and Mac users, and to replace the chamfered lowered circle Windows keys in a standard Blank key set. The keys are 1.25 times the width of a standard key and will fit Control, Windows, Alt or Alt Gr, simple to fit on Brown, Black, Blue or Red Cherry Switches. Great keys to replace the Windows keys! Quality keys like the rest of the keyboard. 10/10 Recommended. Using a Steelseries keyboard on an iMac. Replaced Windows key with blank. I use a Filco Ninja Majestouch-2 on Mac so it's great to be able to remove the Windows keys. As a Linux-user, it's really nice to have blank SuperKeys instead of the uggly Windows-keys. If you using them on a backlit keyboard note light does pass through them. Great replacements. I use them in conjunction with the Filco Blank key set (FKB10588 - they come with domed Windows keys). Be warned if you have backlit keyboards, light does pass through them to an extent. I have remedied this by using nail varnish to black out the underside of the keys to prevent light leaking. If not for my last point, this would be a 55!